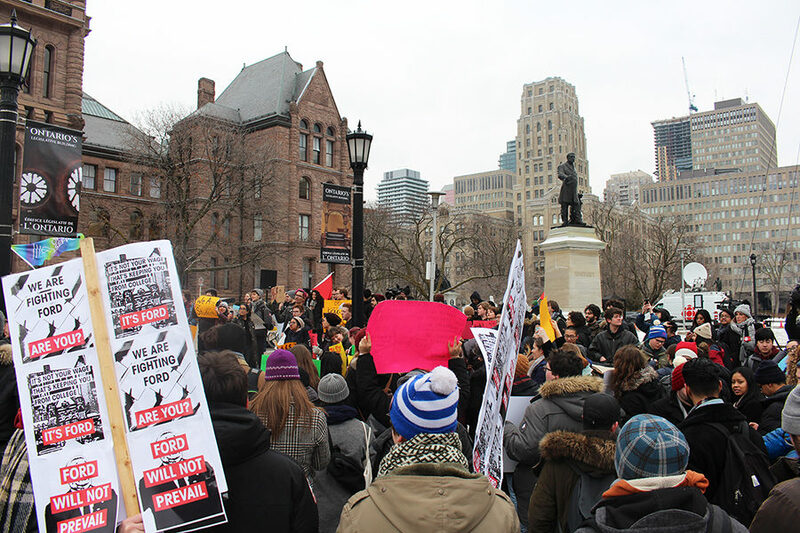 Hundreds of university students rallied at Queen’s Park Friday to protest the Progressive Conservative government’s Ontario Student Assistance Program (OSAP) reforms. 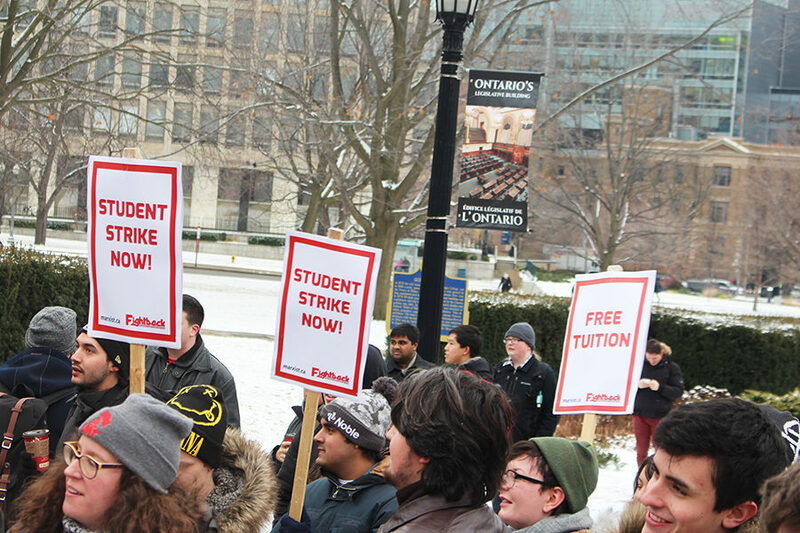 The province announced on Jan. 17 that it will cut tuition fees by 10 per cent next fall. 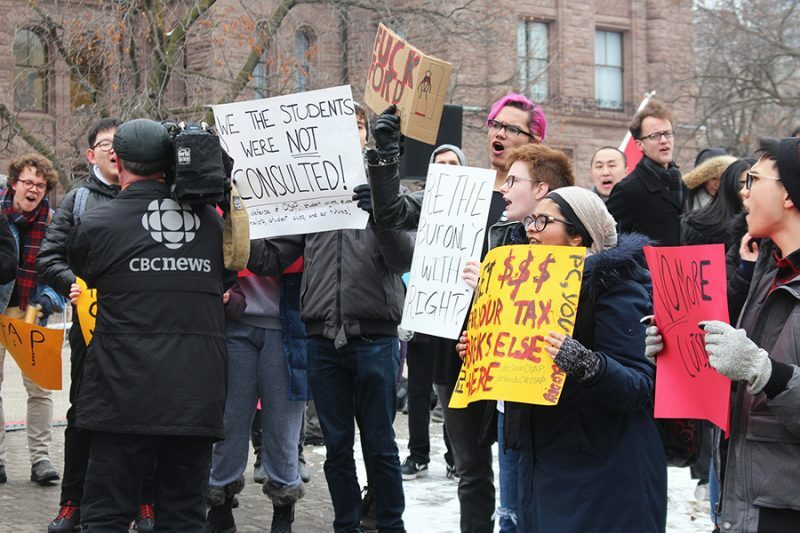 But it also said it will limit the number of grants handed out to students and eliminate the six-month, interest-free grace period graduates now enjoy before they have to begin paying back OSAP loans. 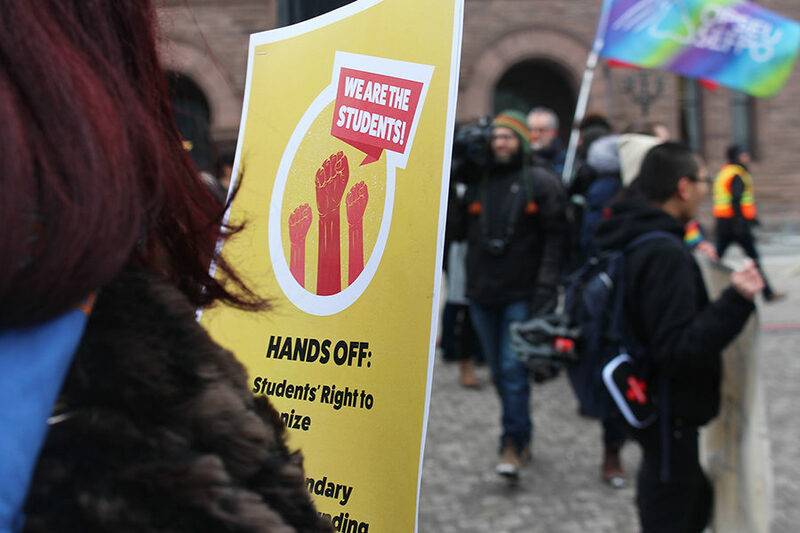 The Ontario chapter of the Canadian Federation of Students (CFS) organized the protest, calling on post-secondary students to demonstrate “massive opposition against the recent government announcement attacking student democracy,” according to the event Facebook page. 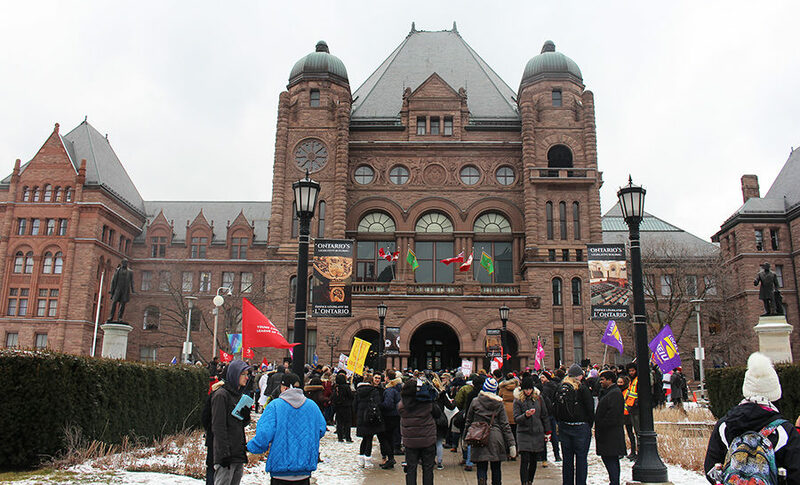 The Ontario government said the changes to OSAP will allow the program to remain sustainable and help students with the greatest financial need attend post-secondary programs. 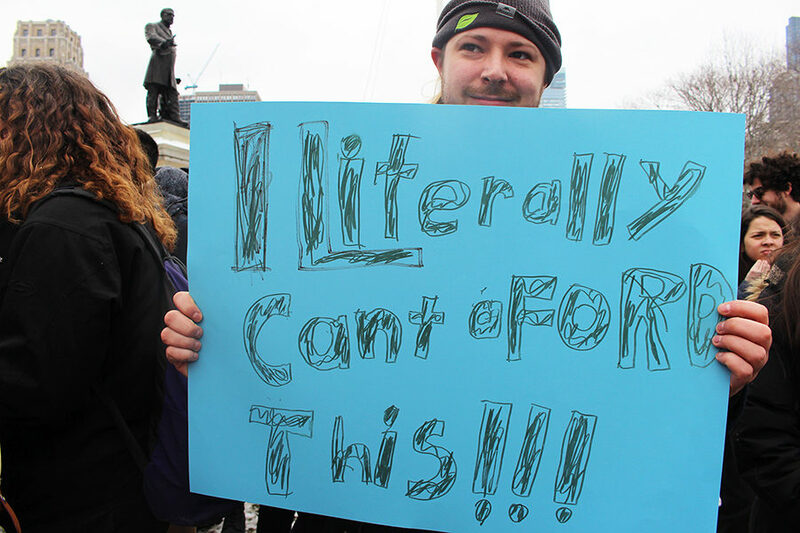 “I was planning on going back to school before this happened,” Riley Common said during the rally. “I work a serving job, my family is retired. I don’t really have a safety net. I’m still hoping to go back, but now it’s going to be a lot harder. I would have to be really lucky. 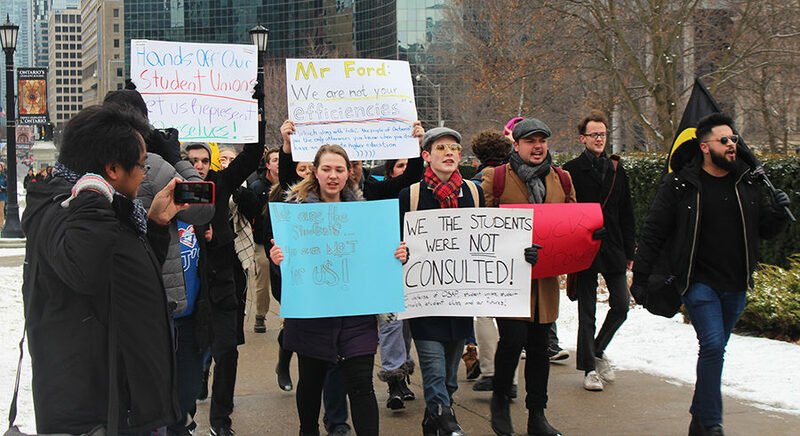 A 10 per cent tuition cut would mean that Ryerson students could save anywhere between $763 and $1,244 in fees per academic year, starting in September 2019. 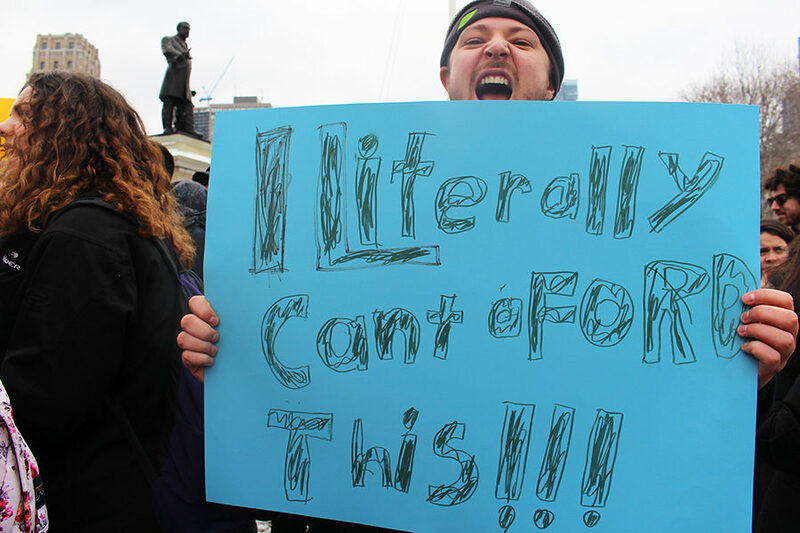 The cuts do not apply to international students. 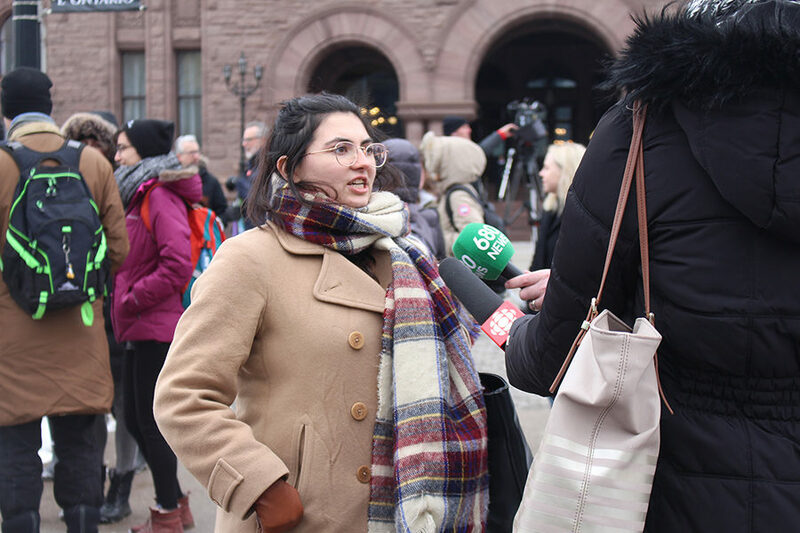 “It doesn’t make sense for some kids to not be able to go to school just because they don’t have the economic funds to do it,” said Ava Ma De Sousa, a U of T student and protester.